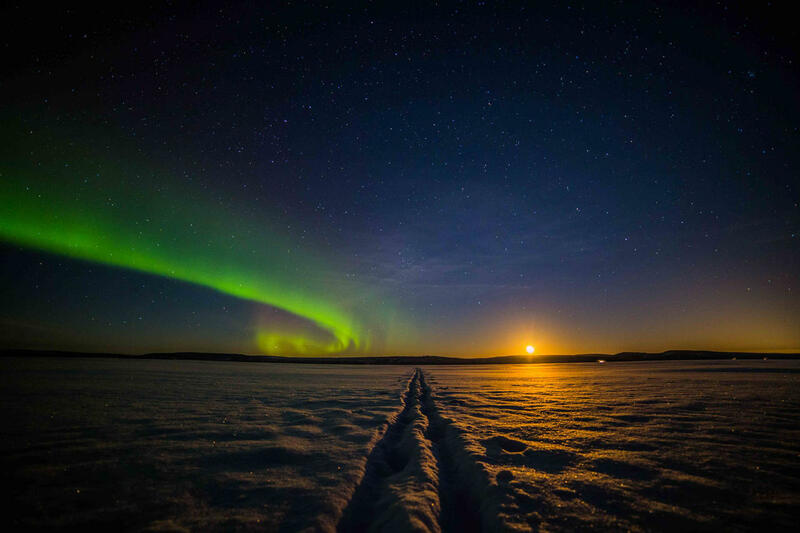 Experience the magic of Lapland and photograph the amazing Northern Lights! 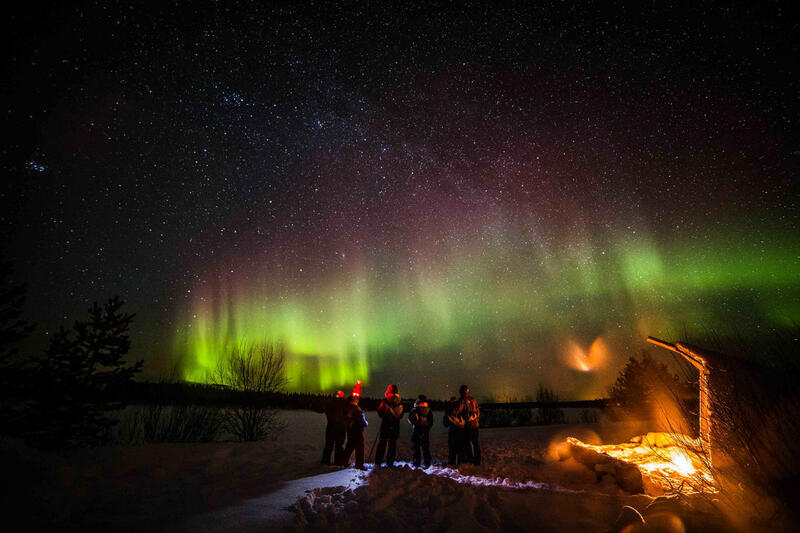 Going Aurora hunting with our professional guides, you have the best possible chance to witness the Northern Lights. 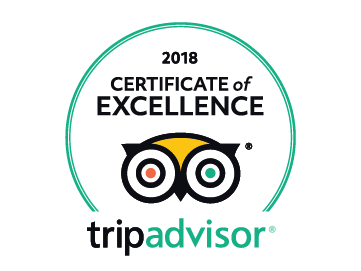 We are Lapland’s top tour company specialised in Aurora photography and will ensure that you get the photos of a lifetime. 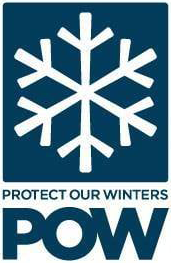 The focus of our expedition is the Rovaniemi area and we travel by minivan. We start with a team meeting about the tour of the day. You will get a short briefing about current weather conditions, Aurora forecasts and about our destination of the day. During the night, we normally go to 2-3 different locations which are always chosen according to local weather conditions and photographic opportunities. This means that if we have a clear sky and a possibility to see the Aurora 100 km away, we will take the chance and drive you there. Altogether we have over 50 locations from which we can choose the best ones each night! After reaching our destination we leave the minivan and continue on foot to reach the perfect spots in the middle of the nature. 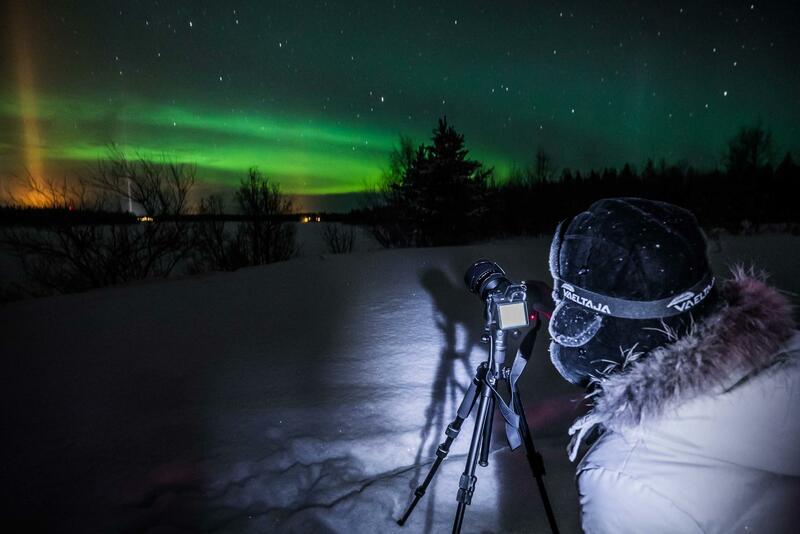 In the destination our guide, a professional photographer, helps you prepare your cameras for Northern Lights photography and we are ready for the show of a lifetime! We highly recommend that you bring your own DSLR camera to our tours, as we cannot guarantee that you are able to take night photos with compact or phone cameras. 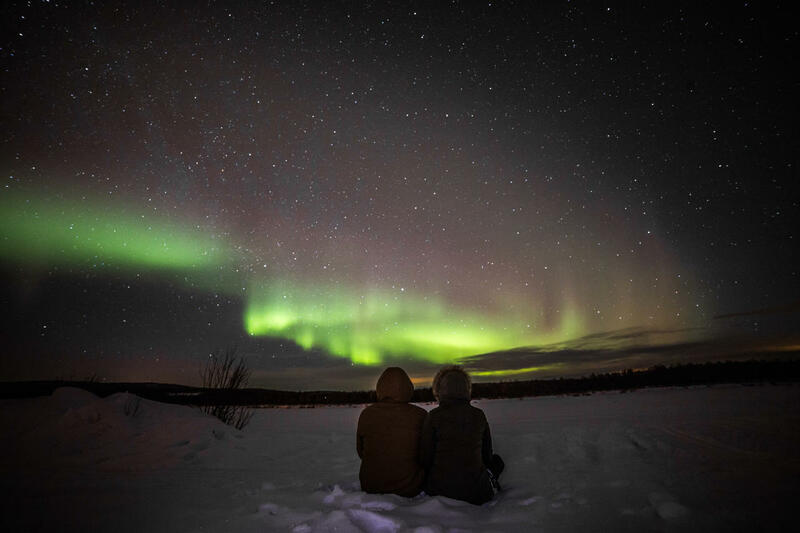 On those nights when we are unable to find Northern Lights because of heavy clouding or snowfall, we will concentrate on night photography in the middle of the Arctic nature and take you to some of our night photography locations!